Explanation: This breathtaking patch of sky would be above you were you to stand at the South Pole of the Earth. 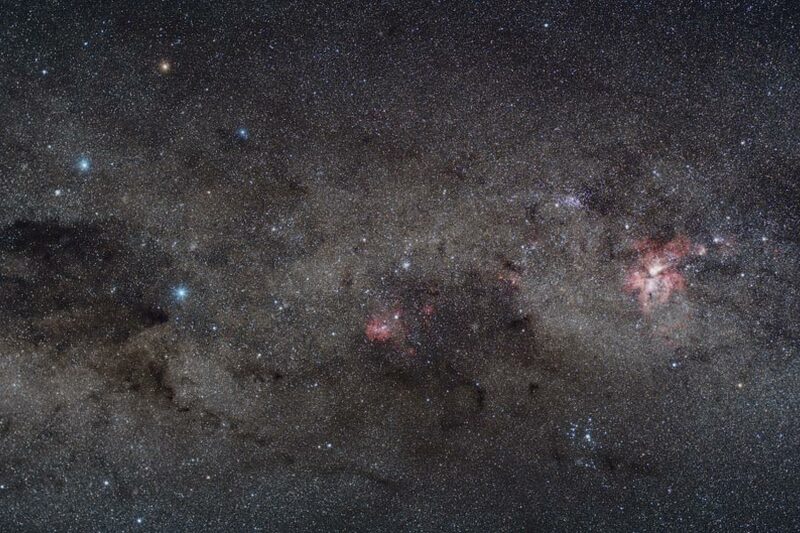 On the upper left of this image are the four stars that mark the boundaries of the famous Southern Cross. At the top of this constellation, also known as The Crux, is the orange star Gamma Crucis. 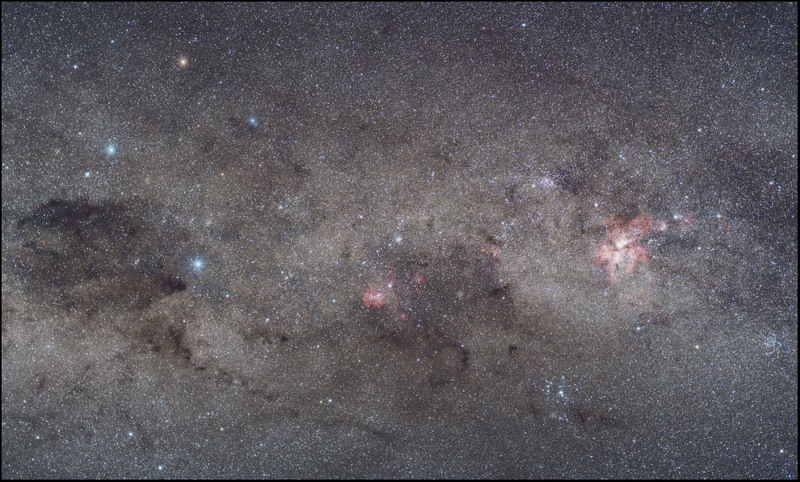 The band of stars, dust, and gas crossing the middle of the photograph is part our Milky Way Galaxy. Just below the Southern Cross on the far left is the dark Coal Sack Nebula, and the bright nebula on the far right is the Carina Nebula. The Southern Cross is such a famous constellation that it is depicted on the national flag of Australia.